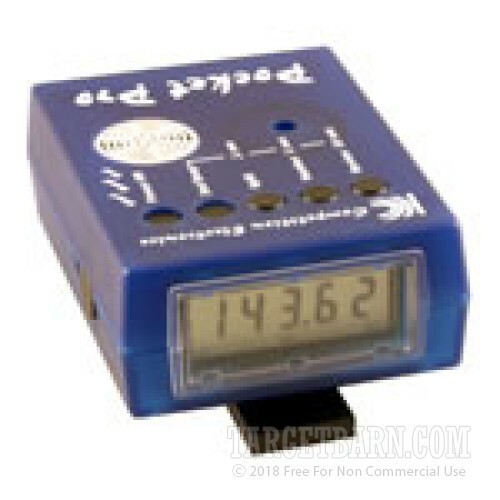 Manufactured in the USA by Competition Electronics, this full-featured timer is one of the best values on the market today. 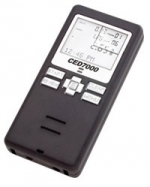 It offers a number of programming options, a large display with 1/2" high numbers, and is powered by a 9-Volt Alkaline battery. The Pocket Pro (approx. 4-3/8" X 3-1/8" X 1-1/2") fits comfortably in your hand. A loud start beep begins the session, and the timer counts each shot. A simple one touch review feature allows you to review the number of shots recorded and the split time between each shot. You can also program in par times for a beep at the start, and another beep at the end for a time up to 99.9 seconds. One of the best features of the Pocket Pro is the belt clip attachment built into the back of the timer case. Don't forget to order a Pocket Pro Carry Case to protect your timer when not in use.